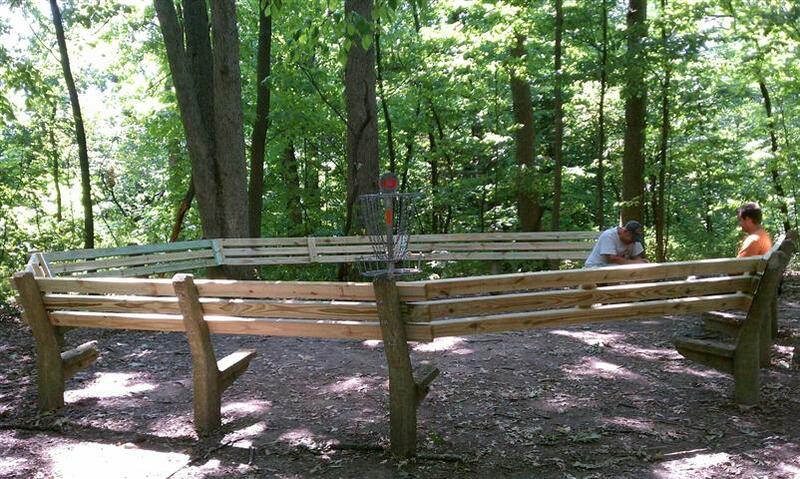 J-Town Disc Club, headed by Jason Poole, with help from Dean & Frank put the backs on the benches around the basket on hole #13. It's ready for Illinois State. I know...........we need to make the course a little harder. Hey Paco, you're suppose to get a deuce not leave one. C'mon Man! Do you always lean to the left when "conducting business" Frank? Left huh. For a moment I thought you were talking polotics. Actually, I was thinking how to get Jason to carry my stuff back to the car. You can't hear the words, but he was yelling at me. He was pointing his finger earlier.